COLOM -Le comte de Hollande. COLOM, J.A. - Le comte de Hollande. Le comte de Hollande. - COLOM, J.A. Title : Le comte de Hollande..
Map maker : COLOM, J.A.. Size : 5.9 x 8.9 inches. / 15.0 x 22.5 cm. 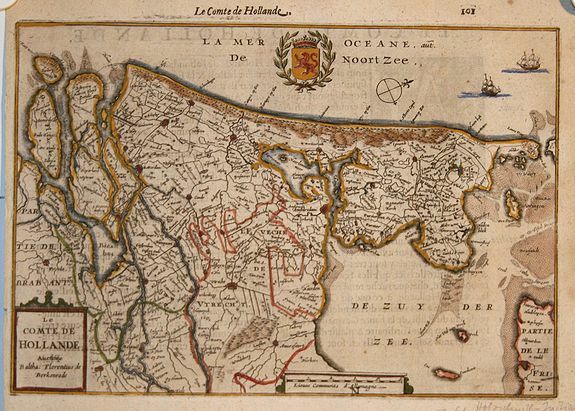 Description :Nice small map of the province Holland, with in the sea a compass rose and a few sailboats. On verso the description of Holland in French.